The heredity substance DNA is the blueprint of our life. Like an instruction manual, it contains all the information needed for cells and the body to function properly. In the process, the DNA is always exposed to threats like UV light, pollutants and damage by metabolic byproducts. Many of those damages can be undone by sophisticated repair mechanisms. Nevertheless, the accumulation of DNA damage is a cause of aging. 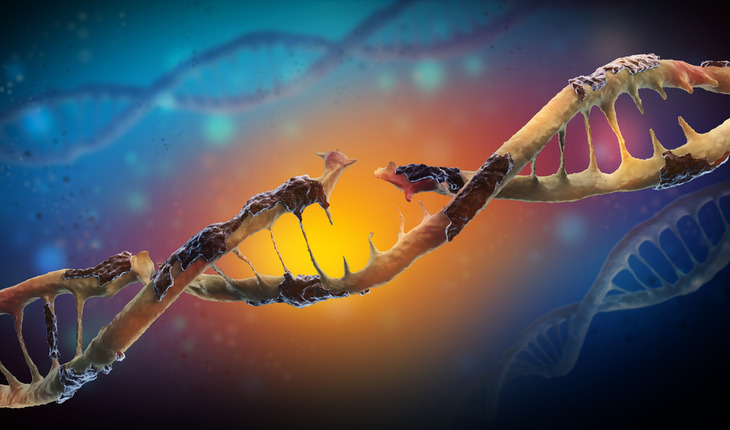 A team of scientists based at Cologne Cluster of Excellence in Cellular Response in Aging-associated Diseases (CECAD) at the University of Cologne in Germany is now trying to better understand the damage to the genome driving the aging process. A release from the university reports that for the study published August 30th 2017 in the journal Cell Reports, the researchers examined the nematode Caenorhabditis elegans. Because of its short life span of only twenty to thirty days, the worm is a popular model organism for aging research. When the team exposed one day old worms to DNA damaging UV light, they found that the young animals show surprising similarity to worms at old age. They compared comprehensively proteins, fatty acids, metabolism and signaling pathways. For researcher Bjorn Schumacher, the aha moment was when they found that the changes they knew to be occurring in old worms were now already unfolding in the young individuals within hours of inflicting the DNA damage. In total, more than 5,000 different proteins and their connection via signaling pathways were examined: How are they connected, how are they interacting, do they regulate the same process? Like in a crossword puzzle, connections between metabolism, preservation of the DNA and proteins and signaling pathways determining the aging process became apparent. ‘In the end, we found all the strings and junctions – that was impressive and even better than expected. What was looming in other studies could be shown by us in the whole picture’, the researcher says. Even though worm and human do not appear all that similar at first glance, their cellular processes are very similar and comparable. Many signaling pathways are identical, the metabolism alike, the quality control of proteins similar. That is what makes the worm so relevant for aging research. In the next step, the researchers want to take a closer look at the signaling pathways. The aim is to better understand the effects of DNA damage on the organism and to make healthy aging possible for humans.